This post has been a long time coming. I usually have 3 or 4 recipes ready to go but I have had a number of flops recently and have become a little over it! First there was my lemony asparagus pasta that I make often but turned to mush on this occasion. Then I attempted a 3 ingredient healthy cookie – they were horrible. Next a healthy toddler friendly hot chocolate. It wasn’t bad but it wasn’t great either. I thought I had broken my cooking curse with a delicious pumpkin and turmeric tahina number that tasted great but the photos were terrible. You couldn’t quite tell if my chunks of pumpkin were in fact pumpkin or salmon – bazaar but true! I’m putting that one down to bad lighting. 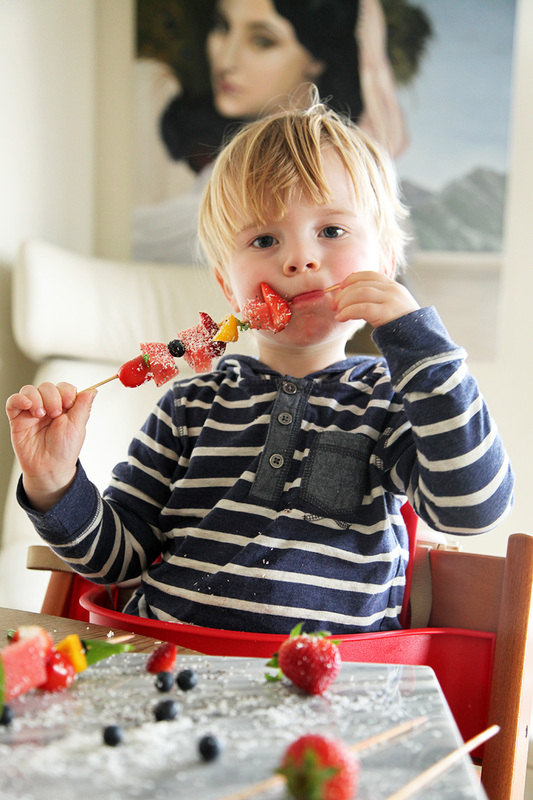 Chop all the fruit into bite sized pieces and thread on to the skewers. 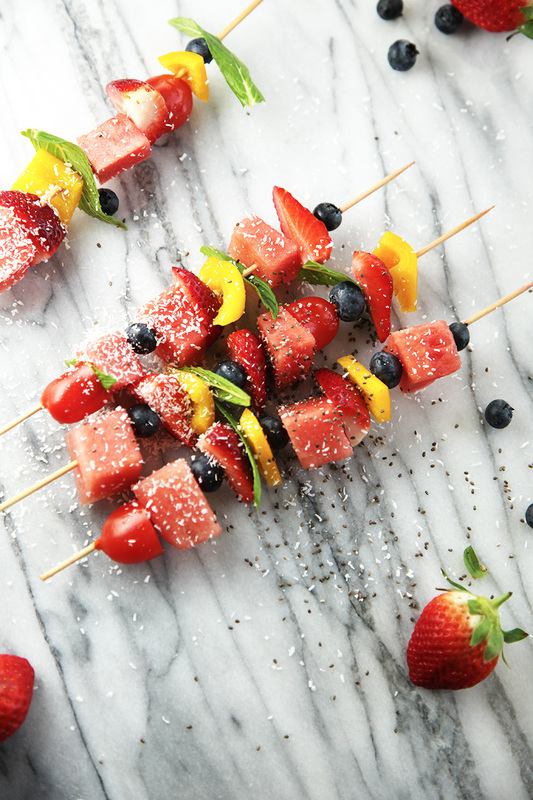 Sprinkle with chia seeds and coconut. Serve. I've listed what fruit I have used but use what ever takes your fancy or is in season. Break the sharp pointy end off before serving to your little person. Fantastic idea. My kiddies would love these and I love the idea of sneaking in a few veggies. Such beautiful colours, I’m making these for myself….